The packaging industry meets from 27 – 29 September 2016 in the Exhibition Centre Nuremberg. Fachpack is European trade fair for packaging, technology, processing and logistics. Fatra as a manufacturer of semi-finished products for the industry are also participating in the exhibition. At the fair they will be presented e.g. 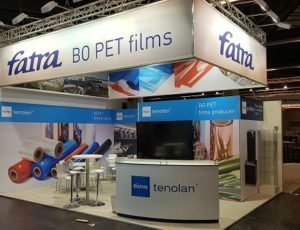 plastic profiles for multipath and packaging BOPET films.